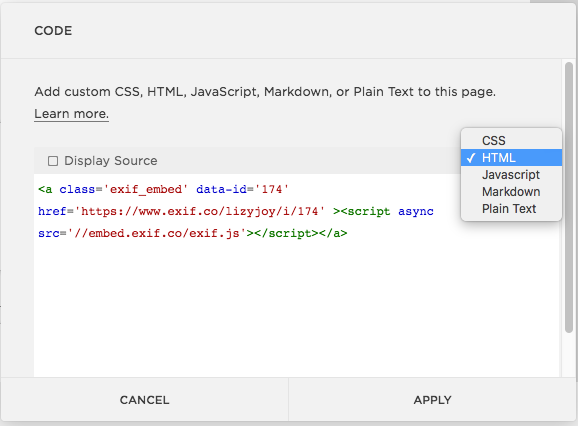 To add EXIF to your Squarespace site, paste the EXIF embed code into a code block. 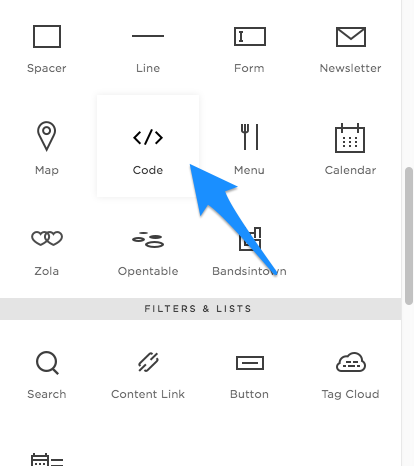 For step-by-step instructions on code blocks, see Squarespace’s code block support page. If you also want to add a thumbnail image. See Squarespace’s thumbnail support page.